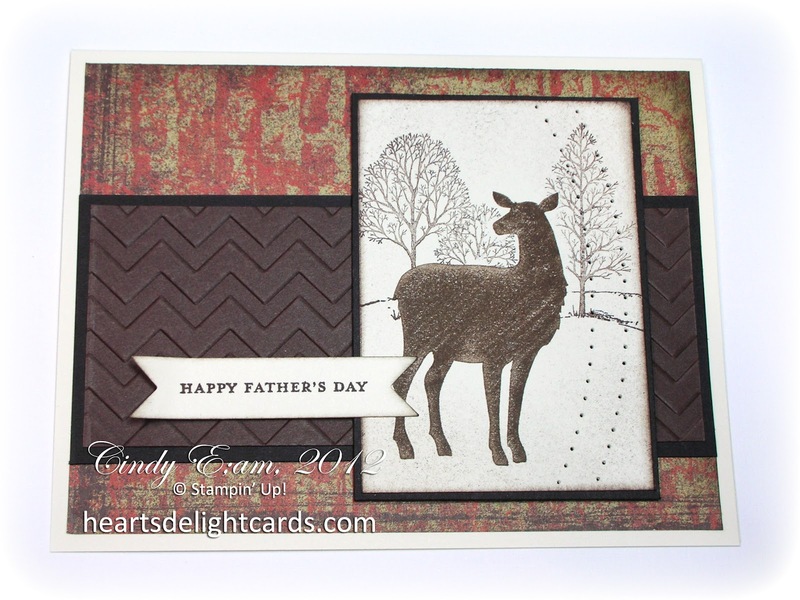 Heart's Delight Cards: Father's Day Christmas?! Did that title get your attention, lol? The Christmas part came from using the Christmas Deer stamp. I'm getting smarter in my old age (haha), and have started looking at stamps with an eye toward "Can I use this in more than one way?" Upon first glance, the Christmas Deer stamp would be "No", but then I thought if I just inked up the deer and left off the ornate antlers, I could use it for a masculine card, too! Turned out pretty well, I think. Very clever, Cindy! Very clever indeed! And I totally agree with what you said about the slanting snow. What a great masculine card! How lovely. 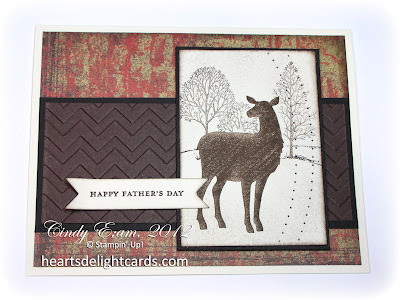 Love all the touchable texture with the piercing and embossing. Wow! There is so much to love about this card! The deer looks amazing, even with "lines", and your piercing details are so clever!